Soursop – Cure for Cancer? There have been emails and Facebook posts flying around recently suggesting that Soursop is “10000 times more powerful cancer killer than chemo”. I’m always interested in folk remedies and alternative cures to all types of human problems. I am a two time cancer survivor myself and I’m always waiting for the other shoe to drop, so I do my due diligence and study. Most “miracle cures” have some health benefits as the basis for their miracle. Even though I am a bit of a conspiracy theory buff I don’t believe that big business intentionally suppresses cheap, natural, cancer cures. Not to mention that there is almost always a down side to the “miracle”. 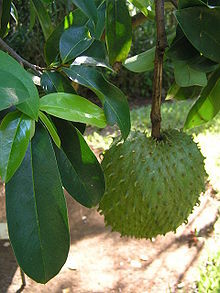 from Wikipedia: The Soursop (Annona muricata) is a broadleaf, flowering, evergreen tree native to Mexico, Cuba, Central America, the Caribbean and northern South America: Colombia, Brazil,Peru, and Venezuela. Soursop is also native to sub-Saharan African countries that lie within the tropics. Today, it is also grown in some areas of Southeast Asia. It was most likely brought from Mexico to the Philippines by way of the Manila-Acapulco galleon trade. 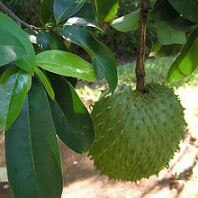 It is in the same genus as the chirimoya and the same family as the pawpaw. 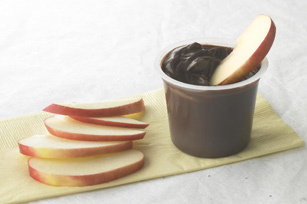 Nutritionally, the fruit is high in carbohydrates, particularly fructose. The fruit also contains significant amounts of vitamin C, vitamin B1, and vitamin B2.The fruit, seeds, and leaves have a number of herbal medicinal uses among indigenous peoples of regions where the plant is common. There is evidence indicating that the fruit’s extracts selectively inhibit the growth of human breast cancer cells by downregulating expression of epidermal growth factor receptor(EGFR) in vitro and in a mouse model, but the effect has not been studied in humans. Research carried out in the Caribbean has suggested a connection between consumption of soursop and atypical forms of Parkinson’s disease due to the very high concentration ofannonacin. 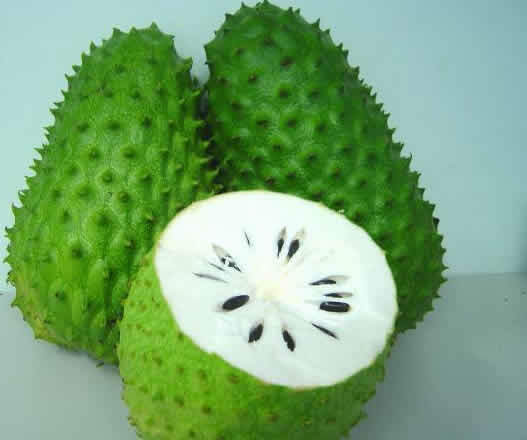 Soursop belongs to the Annonaceae family or Custard Apple family to which the annonaceous acetogenins are aboriginal. These chemicals in general have been documented with antitumorous, antiparasitic, insecticidal, and antimicrobial activities. Mode of action studies in three separate laboratories have recently determined that these acetogenins are superb inhibitors of enzyme processes that are only found in the membranes of cancerous tumor cells. This is why they are toxic to cancer cells but have no toxicity to healthy cells. Soursop Cancer Truth, is this a Hoax? Many of you know that we here at Jughandle’s Fat Farm have been working on a program that would allow you to scan a product’s bar code into your smart phone and have it tell you if it is a safe food for your family. Well, Foodfacts.com has beaten us to the punch and now has a FANTASTIC APPLICATION (APP) that we highly recommend to ALL of our readers. Did You Know That Carbohydrates and Proteins Should Not Be Eaten Together? Carbohydrates and proteins require different types of chemical environments for proper digestion to occur and for our bodies to receive the full nutritional benefit. 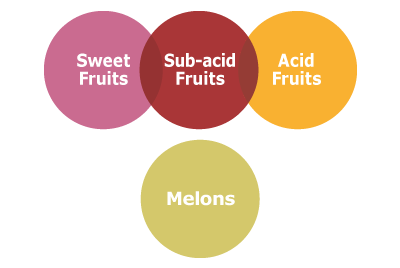 Foods can be categorized as acids or alkalines. Proteins require an acidic environment while carbohydrates require an alkaline environment. When eaten together, digestive juices cancel or neutralize each other and can result in intestinal and health problems.The reason for this is that food is mainly digested in the small intestine. When the wrong combination is consumed, the result is a sticky, gluey substance. I know this is not something we like to hear or read about, but that is the truth. This substance instead of passing through and being eliminated the way it should, will stick to the intestinal walls and provide the perfect environment for bacteria to flourish and for parasites to reproduce. Some consequences of this is indigestion – at the very least, constipation, toxic bowels, and toxic blood. If not corrected, over time it can lead to developing a compromised immune system and other chronic illnesses. Additionally, “this wall” of hardened matter can prevent the intestine from absorbing the necessary nutrients, which in turn can lead to malabsorption complications. We have heard that “most diseases start in the intestine,” now we know why.Vegetables on the other hand, can be digested in either an acidic or an alkaline environment. Therefore, they can be eaten either with proteins or with carbohydrates.Examples of proper food combinations are: a bowl of soup and a salad, protein and a salad, carbohydrates and a salad or steamed vegetables and a salad. 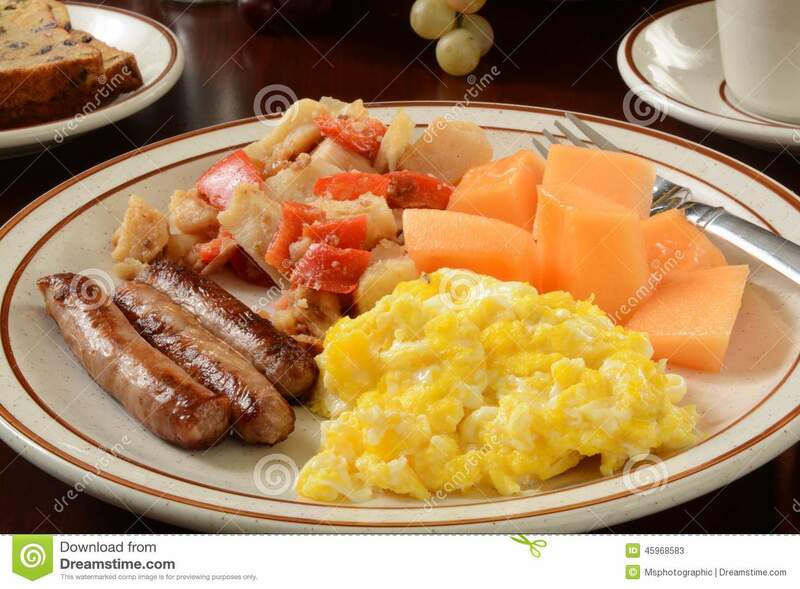 It is recommended that a healthy diet include more vegetables and fruits and that protein is served as a side dish instead of the main course.This is completely different from what we learned in school. We learned that it was important to eat balanced meals. Balanced meals are still important but the definition of a “balanced meal” has changed within the past decade or two. I still remember the picture of the food pyramid from the fifth grade. The truth of the matter is that that kind of eating is not making people’s health any better. In spite of all the technological advancements, diseases like colon cancer, diabetes, heart disease, and autoimmune problems are on the rise. People are turning to alternative methods of treating health problems or to prevent them in the first place. Nutritional recommendations vary greatly from one nutritionist to the next but the basic principles mentioned before make sense when we stop to think about it. I personally know of people who have benefited from applying them – my husband and I being part of that group. Now you know the story behind improper food combinations. 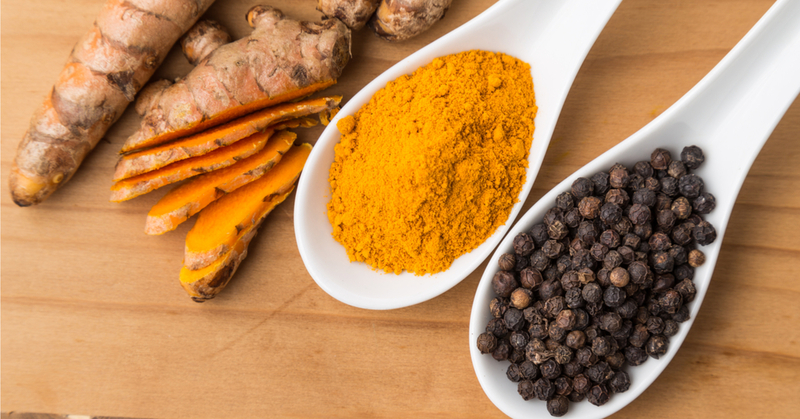 If you decide to follow these guidelines, I hope that you too reap the benefits and rewards that come as a result of combining the right foods. Important: Only combine where circles touch directly! Breakdown of protein requires an acid medium, and digestion of protein dense animal products requires high levels of hydrochloric acid. Since digestion of carbohydrate dense foods requires an alkaline medium in order to be broken down, high carbohydrate foods that have been mixed with high protein foods will not digest but will sit there fermenting, producing indigestion, bloating and gas. And since this fermentation of carbohydrates will inhibit the digestion of the protein, more gas, bloating and discomfort will be produced. This makes the typical American meal, composed of a large hunk of meat along with potatoes and bread, a recipe for digestive disaster. Most protein foods are best digested when accompanied by a fresh green salad. Other concentrated protein foods like nuts and seeds combine well with acid fruits such as oranges, pineapples blackberries, or strawberries. They also work fairly well with sub-acid fruits such as apples, cherries, mangos, or peaches. The vitamin C in these fruits aids digestion of the mixture. should be eaten together, a rule that may be hard to swallow by the surf and turf crowd. inhibiting gastric juice. This is why fried chicken is so hard to digest. digestive tract like a sack of bricks. The carbohydrates are fermenting in the body, producing noxious gases. mealtime and alone. Melons are meant to decompose quickly in the digestive system, which is what they will do if there is no interfering with the process. the antioxidant potential of the fruits may be lost due to the affinity they have for the protein in milk. Food Pairings are sometimes more important than what you eat. Pairing certain foods together can make it either harder or easier for the body to absorb the nutrition from the food. The following are some GREAT food pairings and why. Tomatoes are rich in lycopene, a pigment-rich antioxidant known as a carotenoid, which reduces cancer risk and cardiovascular disease. 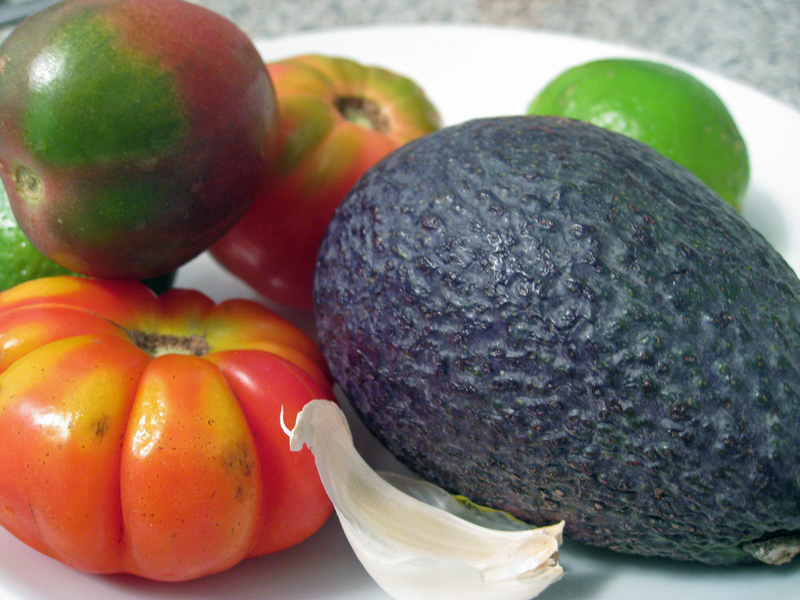 Fats make carotenoids more bioavailable, a fact that makes a strong case for adding tomatoes to your guacamole.”This also has a Mediterranean cultural tie-in,” says registered dietitian Susan Bowerman of California Polytechnic State University. “The lycopene in tomato products such as pasta sauce is better absorbed when some fat (e.g., olive oil) is present than if the sauce were made fat free.” This may also explain why we love olive oil drizzled over fresh tomatoes.And when it comes to salads, don’t choose low-fat dressings. 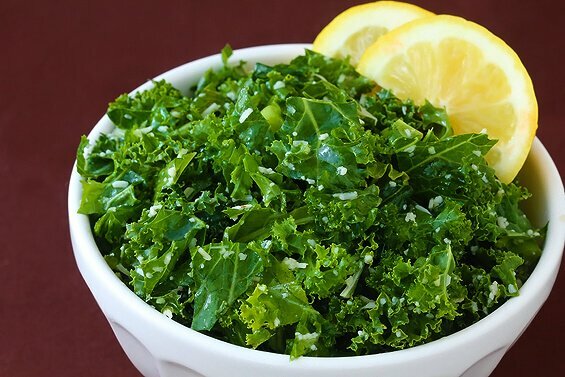 A recent Ohio State University study showed that salads eaten with full-fat dressings help with the absorption of another carotenoid called lutein, which is found in green leafy vegetables and has been shown to benefit vision. If you don’t like heavy salad dressing, sprinkle walnuts, pistachios, or grated cheese over your greens. A study from the Antioxidants Research Lab at the U.S. Department of Agriculture shows that drinking vitamin C-rich orange juice while eating a bowl of real oatmeal (read: not processed) cleans your arteries and prevents heart attacks with two times as much efficacy than if you were to ingest either breakfast staple alone. The reason? The organic compounds in both foods, called phenols, stabilize your LDL cholesterol (low-density lipoprotein, or so-called “bad” cholesterol) when consumed together. Apples, particularly Red Delicious, are known to be high in an anti-inflammatory flavonoid called quercetin, especially in their skins. (Note: It’s important to buy organic because pesticides concentrate in the skins of conventionally grown apples.) By itself, quercetin has been shown to reduce the risk of allergies, heart attack, Alzheimer’s, Parkinson’s, and prostate and lung cancers.Chocolate, grapes, red wine, and tea, on the other hand, contain the flavonoid catechin, an antioxidant that reduces the risks for atherosclerosis and cancer. Together, according to a study done by Barry Halliwell, Ph.D., a leading food science professor at the National University of Singapore, catechins and quercetin loosen clumpy blood platelets, improving cardiovascular health and providing anticoagulant activity. Quercetin is also found in buckwheat, onions, and raspberries.Susan Kraus, a clinical dietitian at Hackensack University Medical Center in New Jersey, recommends the following combinations: sangria with cut-up apples; green tea with buckwheat pancakes and raspberries; and kasha (roasted buckwheat, made in a pilaf) cooked with onions. It’s true that soy has been shown in studies to lower sperm counts, but that’s mainly in processed forms such as soy cheese, soy milk, and the unpronounceable forms listed on the labels of your favorite artery-clogging processed foods. This means that eating unprocessed forms of soy, such as edamame and tofu, is perfectly fine in moderation.That’s good news because, according to Mark Messina, Ph.D., former director of the diet and cancer branch of the National Cancer Institute at the National Institutes of Health and now an adjunct associate professor at Loma Linda University, an isoflavone in soy called genistein inhibits enzymes in the colon and prostate, raising the amount of vitamin D bioavailability in those tissues. “The higher vitamin D levels may offer protection against cancer,” says Messina. “There is emerging research suggesting that vitamin D reduces cancer risk, and many people don’t get enough of the vitamin. You do make it in your skin, but most people don’t make enough.”Fish such as salmon and tuna are high in vitamin D, so take a cue from the Asian diet and eat fish with a side of edamame. According to Diane Birt, P.D., a professor at Iowa State University and a food synergy expert, the specific amino acids absent in wheat are actually present in peanuts. 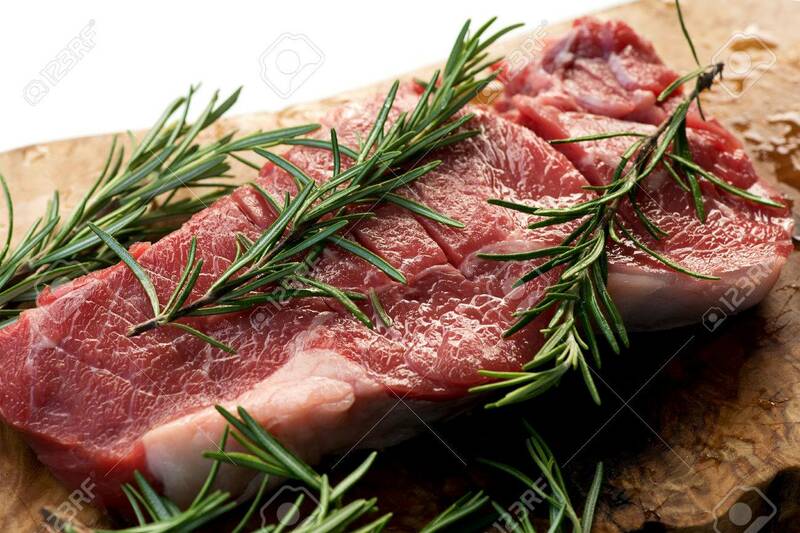 You need, and very rarely receive in one meal, the complete chain of amino acids (the best form of protein) to build and maintain muscle, especially as you get older. In short, while this combo exhibits only what Birt calls a “loose definition” of food synergy, it gives good evidence that a peanut-butter sandwich isn’t junk food if it’s prepared with whole-wheat bread (not white) and eaten in moderation (once a day).So enjoy a peanut-butter sandwich right after a workout instead of drinking a terrible gym-rat shake. Just make sure the peanut butter doesn’t have added sugar, chemical ingredients you can’t pronounce, or cartoon characters on the label. The most popular (and an awfully complete form of) breakfast protein works even better for you when you eat it with the good carbohydrates in your morning cantaloupe. 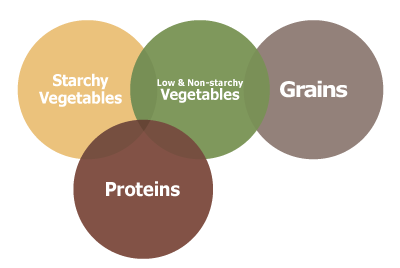 According to Kennedy, a very basic food synergy is the concept of eating protein with foods that contain beneficial carbohydrates, which we need for energy. Protein, Kennedy reminds us, slows the absorption of glucose, or sugar, from carbohydrates. So cut as many bad carbs (i.e., anything white, starchy, and sugary) as you want. 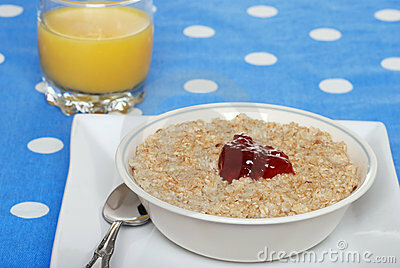 But when you eat healthful carbs (whole grains, fruit, vegetables), don’t eat them on their own. We already know that good fats help increase lycopene absorption. But did you know that many essential vitamins are activated and absorbed best when eaten with fat? 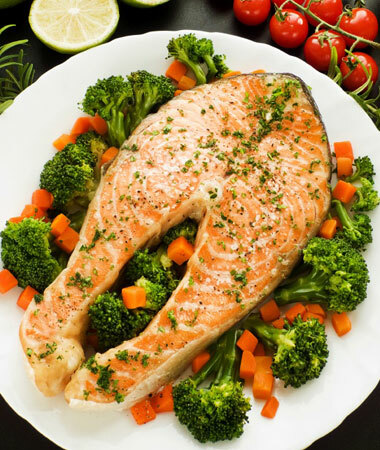 Vitamins that are considered fat-soluble include A, D, and E. Carrots, broccoli, and peas are all loaded with vitamin A and should be paired with a healthy fat such as the kind found in olive oil. Vitamin D—rich products include fish, milk, yogurt, and orange juice. So toss some almonds into your yogurt, eat full-fat dairy foods, and pair your morning OJ with a slice of bacon. To get the most vitamin E with fat-soluble foods, try baked sweet-potato slices or spinach salad topped with olive oil. Read more about olives and its oil from a past Fat Farm post – here. oil being sold in California were nothing of the sort. no suggestion the store chain knew of the deception. only six were selling the genuine product. employed in the refining of other oils. olives or a second pressing, though it is still wholesome. usually means some or all of it has been chemically processed. 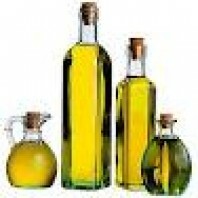 cheap seed oil like sunflower oil. US law enforcement officers were found to contain only soy oil. any quantity from fruit rather than nuts or seeds. And the reason for the olive oil scam is simple — money. as the real thing you can make a lot of money. the low prices of the phony product. fool the public, apart from simply lying. enables suppliers to charge a premium. fine print on the label. where disclosure rules are less stringent. unintentionally misled by the labeling on a bottle? (although some prices come close). again, this could be forged). oil likely has been processed and is not “virgin” quality. this way to protect the oil from harmful sunlight. requirements we’ve listed are necessarily phony. the possibility of an olive oil scam. another issue. See you then! Extra-virgin olive oil is a ubiquitous ingredient in Italian recipes, religious rituals and beauty products. But many of the bottles labeled “extra-virgin olive oil” on supermarket shelves have been adulterated and shouldn’t be classified as extra-virgin, says New Yorker contributor Tom Mueller. The term “extra-virgin olive oil” means the olive oil has been made from crushed olives and is not refined in any way by chemical solvents or high heat. Extra-virgin olive oil wasn’t created until stainless steel milling techniques were introduced in the 1960s and ’70s. The technology allowed people to make much more refined olive oil. The introduction of stainless steel milling techniques has allowed manufacturers to make more complex and flavorful extra-virgin olive oils, he says. But the process is also incredibly expensive — it costs a lot to properly store and mill extra-virgin olive oil. Mueller says that’s why some people blend extra-virgin olive oil with lower-grade, lower-priced products. Researchers found more than two-thirds of sampled extra-virgin olive oil didn’t make the grade. French researchers found an link between liberal use of olive oil and a lower risk of stroke. For Palestinians and Israelis, the annual olive harvest is central to the culture, economy. Humans have transformed a defense against noxious fumes into an indicator of gourmet quality. I want everyone to know about and use FoodFacts.com. It is my go to place for information on the food we eat here on the Fat Farm. Sign up for their Blog too. It is great. 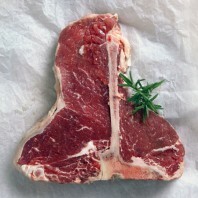 FoodFacts.com contains easy to understand and quick to find information on a broad range of food products found in our local stores. Just type a product name or manufacturer into a search box and a list with pictures of the available product information comes up. There is even a “Products” tab that lists groups of products to choose from. 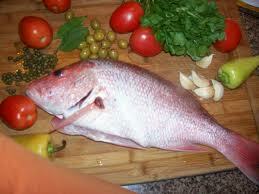 Search methods include “Keyword”, “Ingredients”, “UPC Code” “Recipes” and “seaarch to compare.